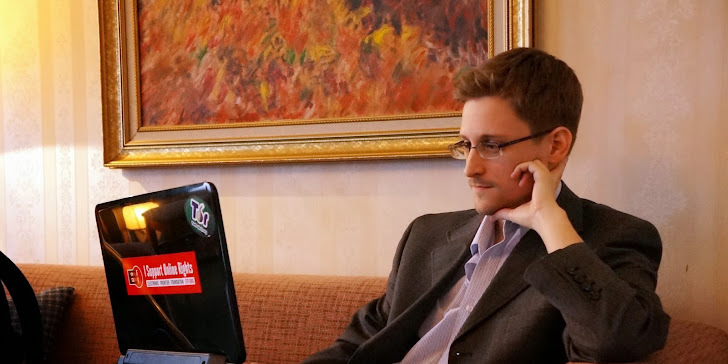 We are quite aware of the leaks that the Whistleblower Edward Snowden carried out against the US National Security Agency (NSA) and after reading every related update, watching every document that he provided to various news websites, you all are left with a question in mind that, How he could carry out this whole operation without any helping hand? Yes, you are right! The former NSA contractor Edward Snowden allegedly managed to access thousands of the classified documents by stealing one of his coworker's passwords, according to an unclassified NSA memorandum obtained by the NBC News. Three Members, one NSA's civilian employee, an active duty member of the U.S. Military and a contractor were found involved in the actions that may have aided Snowden's operation; from which NSA's civilian employee has been stripped of his security clearance and has resigned. Other two has been obstructed from accessing National Security Agency (NSA) facilities, the memo states indicating that their status is under review currently. The coworker said that he allowed Snowden to use his Public Key Infrastructure (PKI) certificate to access the classified information on ‘NSANet’ that was officially denied to access by Snowden. The memo also states that the civilian coworker was not aware of Mr. Snowden’s intentions that he “intended to unlawfully disclose classified information,” and shared his PKI certificate, a system of highly secure credentials that provided greater access to NSA’s internal computer system, and “failed to comply with security obligations,” that made him resign. This was not the first time we heard about the involvement of the coworker of NSA in the matter of so called nation’s pride. Bake in the month of November, the memo appears to be the first official confirmation of a Reuters report in November; Reuters reported that some of the employees, as many as 20 to 25 workers who shared their passwords had been identified, questioned, and removed from their assignments, but the NSA never publicly commented on that report and Snowden appeared to deny it during a public Google chat just last month. Now this is what NSA must quite aware of the discipline maintained by the workers who work at NSA to carry out the most sophisticated project to spy on each individual, while their inbuilt threat may blow their head off.